From mid April to mid May Nice N Green provides spring clean up services for your lawn. Doing a spring clean up is important to having your lawn and landscaping looking great all summer long. 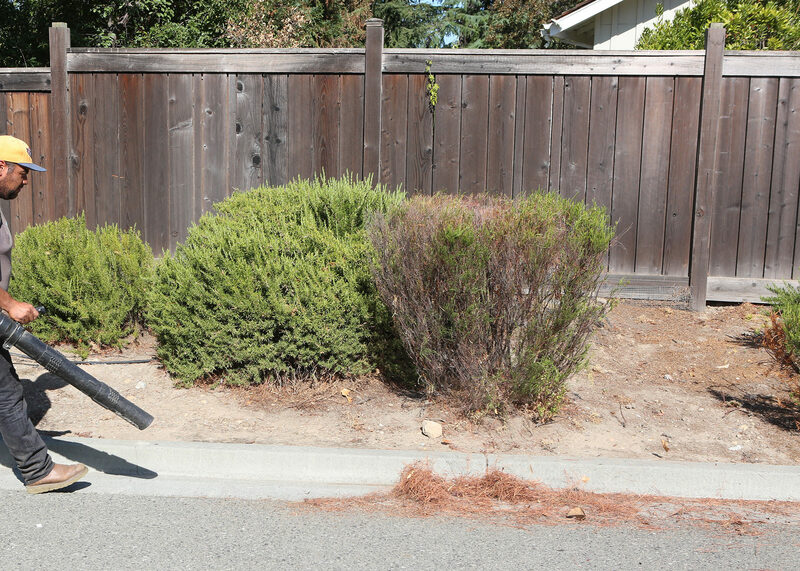 We will come out to your property and clear debris from around your home, garage, gardens, and anywhere else leaves and other debris have piled up and started to decay. Upon request we can clean up garden bed and lay a new fresh layer of mulch. Laying new mulch each season is a great way to keep moisture in your soil around your plants, and also gives your homes' curb appeal a boost! Spring is also a good time to add pre emergent weed control and a balanced fertilizer to get your lawn on the right track. Our Spring Clean Up comes included with our Annual Service Package so that your lawn will be covered all season and your driveway clear! Thatch is simply a layer of dead grass that is on top of your soil below the tops of the grass. Having to much thatch on your lawn is bad for your grass. It prevents water and nutrients from getting down into your soil. Getting the thatch out of your lawn will help your lawn absorb water and sunlight. However, it is good to have a thin layer of thatch on the lawn to help hold in moisture during the hot summer months. We use heavy duty rakes attached to our mowers to get down below the layer of thatch to your soil to to get the dead grass up. 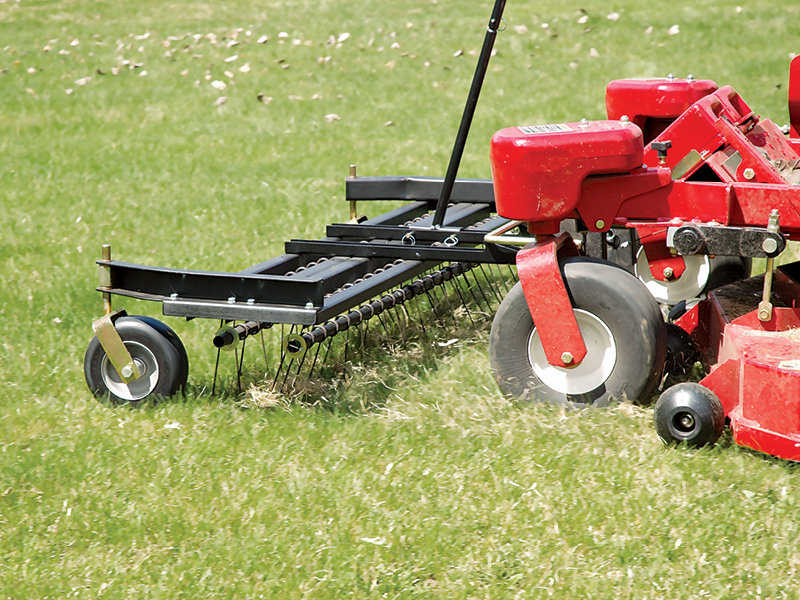 After the grass has been power raked, we collect the grass and remove it from your property. 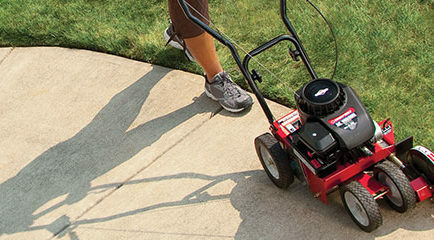 Edging is the one thing that will get your lawn looking sharper then the rest. Edging is mostly for curb appeal but does provide a root barrier around your driveway, sidewalks, and garden beds to prevent grass from overgrowing into these areas. Keeping your lawn edged will give your home GREAT curb appeal and will make your neighbors want their lawn looking like yours! During our basic spring clean up we will go through your garden beds and blow out any loose debris that has fallen over the winter or was missed during the fall. If you have a lot of garden beds and need dead heads removed and other plant material pulled we can do that as well. Getting your lawn looking good in the spring gives you a less daunting feeling all summer! ← If this doesn’t give you spring fever….